Run ML Bot on your Magic Online accounts. Easy. And free for non-commercial use. Thank you for downloading ML Bot! Trade your cards for profits. Buy the items you need, sell the extra, automatically. ML Bot is free for non-commercial use. You can use it for free forever on however many accounts you want as long as your monthly trades are below 200 tickets. Buy and sell cards with a margin to make a profit. Or sell your extra cards. Or buy the cards you need to play at a discounted price. Whatever you decide to do, ML bot will make you a profit. Our bot is designed to work autonomously. It will manage MTGO updates, downtimes, crashes ... It will update the prices and keep up with the market while you enjoy your free time. Our companion application mtgowikiprice.com will help your trades. Your bot will be automatically listed and thousands of players will see your offerings. ML Bot tracks the market and adjusts dynamically. Too many sales of a card? The price will increase. Low on stock with a card? The price will go up. Our team created ML Bot using state-of-the-art technology. It's simply the most advanced bot out there. Logging in will take you to the Online Control Panel. From there you can monitor, adjust and check your bots even if you're not at home. 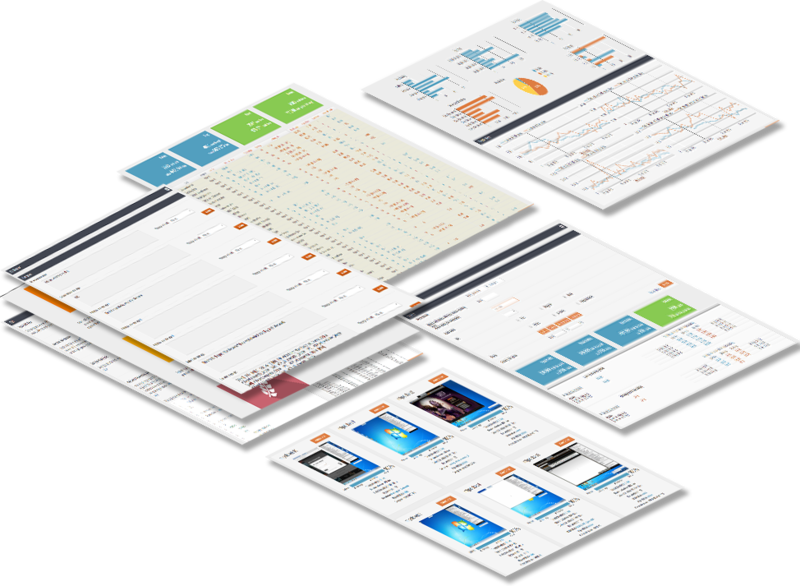 Dashboards and stats provide everything you need to obtain business intelligence and get the max from your bot. Install ML Bot on your computer, connect it to your Magic Online account and let it trade for you. All your bots will share the inventory. They will behave like one big bot rather than separate small bots. The market can change fast. ML Bot reacts to the market and dynamically adjusts selling and buying prices to maximize your profits. Use the Wikiprice API to position your bot on wikiprice's key positions. Need to build a webshop? Our Webshop API lets you sell cards and credits for cash. All secured by mtgolibrary.com. Save money on design and code and spend it on concept, ideas and functionality. The Online Control Panel lets you concentrate on your business and grow it. Share customers' credits among your bots. Customers can shop on one bot, then visit another and have their credits transferred. A clear profit log will tell you, day by day, how much you profited, computing the differences between selling and buying prices. This landing page is just too short to tell you about everything. 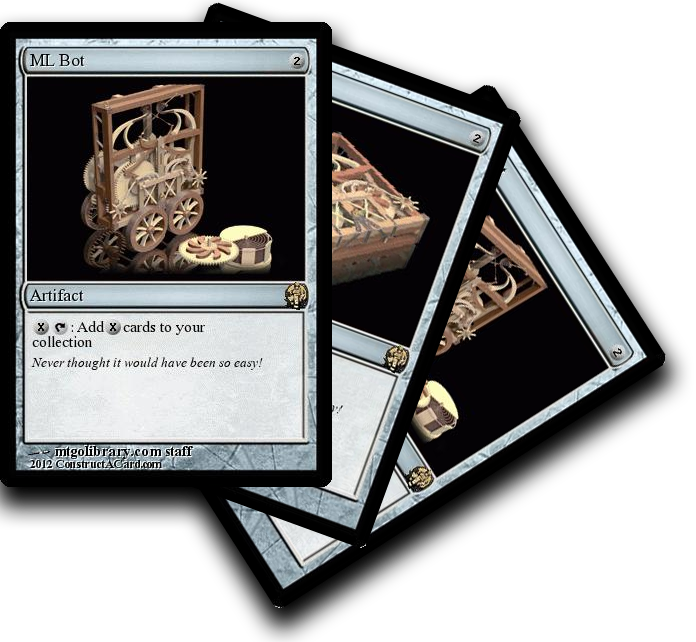 Register your MTGO account and discover the full range of features.